On 3rd Street in Northern Liberties, there's a ton of construction going on right now. 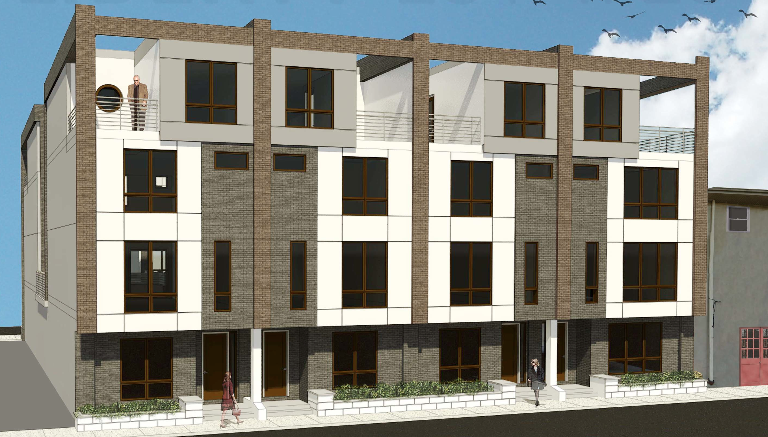 So it may seem strange that we're profiling 613-25 N. 3rd St., a project that's not actually under construction yet. But hey, we've covered it before and we have current renderings. So here we go. 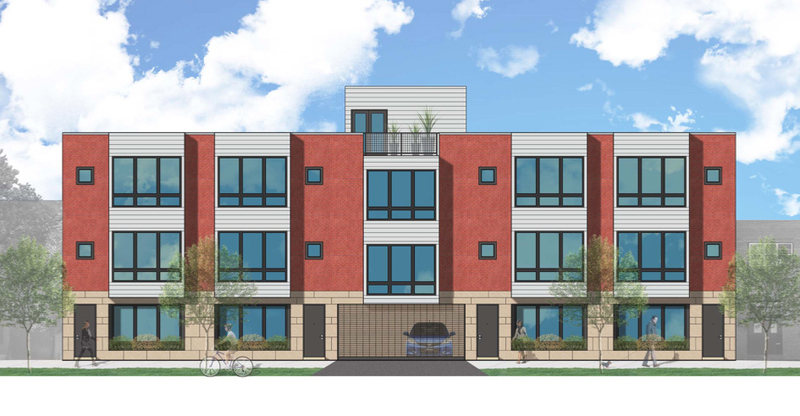 We last checked in on this project back in April when developers appeared before the Northern Liberties Neighbors Association with plans to replace a surface parking lot with nine new homes. This was particularly of interest, as different developers came up with another project for the same site back in 2012. The previous project was designed by Canno Architecture, and the new one came from Abitare Studios. In April, we wondered how many times the developers would need to present the project to the community, as the original incarnation required four meetings. It turns out they only needed to come back once more. The project got community support and was approved by the ZBA in June. Like the previous project, there will be four homes on 3rd Street along with one carriage house, and four homes on Bodine Street. The carriage house just moved to the north. Rear garage parking for the units will be accessed under that carriage house. Check out these renderings, though the plans could still get refined a little. The project is currently going through permitting, so let's hope it breaks ground by the end of year. When it does, it will join a parade of other projects in the area, which we'll update you in the days to come.